We might not have the Academy Awards in Singapore, but for young, aspiring filmmakers, the National Youth Film Awards (NYFA) is the ultimate platform to seek critical praise for their projects. Organised by *SCAPE in collaboration with Sinema Media, NYFA discovers and celebrates the best emerging film talents in Singapore. This year, a record number of 260 films were submitted for review, but only 12 films were awarded. 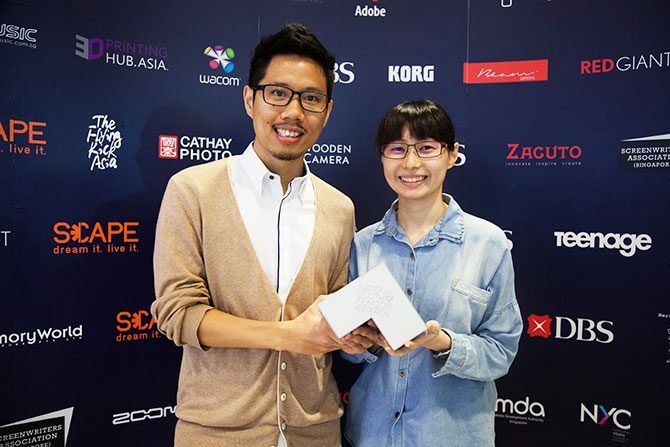 The winners were determined by NYFA’s 15-member jury which includes industry heavyweights like filmmaker Jack Neo. Weekender caught up with some of the young winners to find out more about their films and plans for the future. Winner of the Best Direction Award and the DBS Best Picture Award, Han, tells the emotional story of a father who flies to South Korea on behalf of his son. He meets the parents of the girl his son killed in a car accident in Singapore, begging them for forgiveness. The film stars veteran local actor, Zhu Hou Ren, who is the real life father of writer-director Jonathan Choo. He wrote the film specifically with him in mind. “I just had an image of this person, of a certain age, in another country, having an epiphany and I just thought, ‘Yeah, that’s my dad,’” explained Choo. It was a clean sweep for You Ci Ke in the animation categories, winning the awards for “Best Writing in Animated Film”, “3dprintinghub.Asia Best Character Design in Animated Film” and “Best Animated Film”. 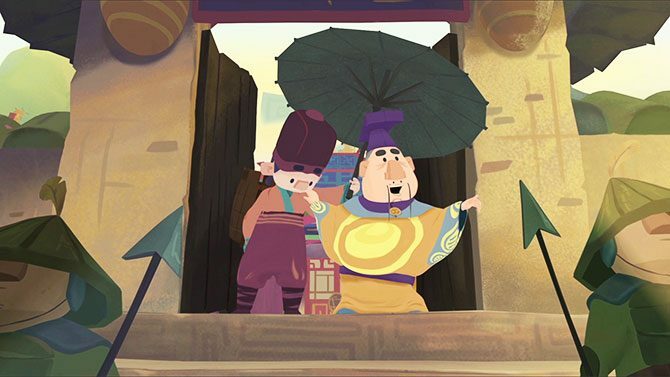 The animation piece tells the story of a servant trying to warn the emperor about an assassin in the palace. Ronald Fong, who wrote the script, said he was inspired by his day to day interactions with his father. “At first, we struggled to come up with the story but after speaking to my professors, I realised that a lot of people have difficulty trying to communicate with their parents. There’s a similar parallel between Lu Cai, the servant, trying to warn the emperor who just won’t listen so I wanted to put that into the film,” said Fong. Instead of being a one-off event, NYFA has produced its own set of alumni who have gone on to achieve much thanks to the recognition they received from the award. Martin Hong was a nominee for the Best Direction Award in NYFA 2015 and is now one of Singapore’s most up and coming filmmakers. Last year, Hong was selected for the Asian Film Academy as a part of Busan International Film Festival. He also produced the music video “For Love”, for popular local band, The Sam Willows. This year, he conceptualised and produced the popular YouTube web series, “Geeks VS Bloggers”, which stars influencers like Amanda Wong of Beautifuladieu. A version of this article appeared in the print edition of Weekender, Issue 158, August 5 – August 18, 2016, with the headline ‘Meet Singapore’s young filmmaking stars’.